Those icons at the top-left of your computer? You’re not using them enough, and that’s too bad. 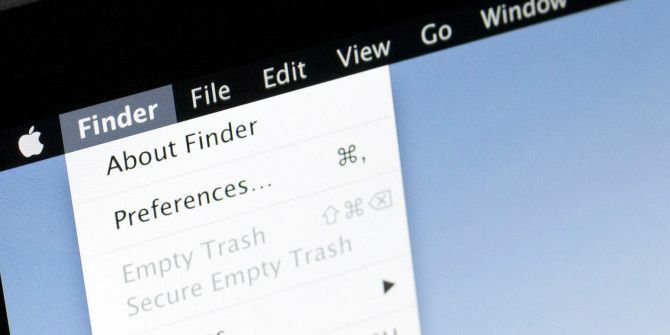 This area of your Mac can be a great way to quickly find information or even get work done. If you never click icons, maybe you just don’t know about the right apps to use – or haven’t tweaked the menubar to work well for you. Here are a few ideas to get you started. Using Calendar on your Mac is great, but most of the time you’re just quickly checking what’s up, or adding an entry. Do you really need an entire application window for that? Fantastical’s betting not. This menubar app gives you a quick overview of your upcoming schedule, and allows you to browse your calendar and add appointments – all from the menubar Manage Your Calendar From The Mac Menubar With Fantastical Manage Your Calendar From The Mac Menubar With Fantastical Manage your calendar, completely, from your Mac's menu bar. Fantastical isn't just a way to quickly see your upcoming events: it's a way to never look at Apple's default Calendar again. Read More . Best of all, in integrates with Calendar/iCal, meaning you don’t need to import your calendars to a new service. Go ahead and download XMenu for free from the Mac App Store. It’s a simple app, but oh-so-useful, and typing a message for your computer to say back to you later is just fun. If you’d prefer something specifically made for the Pomodoro technique, I recommend Tomighty (free). It’s simple, sure, but customizable in the way you need it to be: you can set how long the work periods and breaks are. It also supports notification center. Need your Mac to stay awake? Whether you’ve got a download you need to complete or are using your screen as a passive display at a party, sometimes you need your computer to stay awake. Enter the aptly-named Caffeine [No Longer Available]. This little app lives in your menubar, and looks like a cup of coffee. A full cup means your Mac won’t go to sleep; and empty cup means it will. There are a wide variety of free Mac weather apps 6 Wonderful Weather Apps For Mac, Most Of Them Free 6 Wonderful Weather Apps For Mac, Most Of Them Free There are many ways to find the weather forecast on your Mac, but nothing beats a dedicated app. Here are six of the best. Read More out there, and a few that run from the menubar. I recommend you check out Meteo (free) if you like this idea. The app hasn’t been updated since 2006, but surprisingly still works with Mavericks. Explore the Mac App Store and you’ll find a lot of single-purpose apps for adding sites to your menubar. Facebook is the most common, but apps abound for Twitter and Gmail as well. But you don’t need to install a separate app for every website you want to use from the Menubar: just check out Fluid ($5), which can turn any website into a native Mac application. The paid version of the app allows you to create menubar apps, putting any site just a click away. If you installed half the apps listed above, your menubar is getting full. Maybe the icons are threatening to overlap with the text menu. Apple, in their wisdom, doesn’t offer a way to hide icons – it’s a pretty basic Windows feature that Macs are lacking A Perfect Operating System? Getting Windows Style Features in OS X A Perfect Operating System? Getting Windows Style Features in OS X Bring the best features of Windows to OS X. You did not read that incorrectly. Many Mac users won't admit it, but there are some pretty nice features in Windows – particularly Windows 7 and... Read More . But there is a tool capable of saving you from menubar overload: Bartender ($15), which offers an easy way to reduce menubar overload. With it, you can send the icons you use less frequently to the “Bartender Bar”, a hidden menubar you can bring up by clicking Bartender’s icon. This lets you hide clutter, but still gives you access to apps when you need them. We showed you ways to personalize your OS X desktop Top 7 Ways to Personalize Your Mac Desktop Top 7 Ways to Personalize Your Mac Desktop Want to make your Mac more personal? Check out these awesome methods for customizing your Mac theme and more. Read More , including how to turn your menubar black. The hack for the job is called Obsidian Menubar, and it’s easy enough to use. What’s not easy: your icons remain black after you use it. This might be fine if you don’t wish to see your menubar icons; otherwise, you’ll need to manually replace the icons with white ones. It’s work, but it might be worth it. Want to add even more functionality to your Mac’s menubar? I’d start by checking out MacMenuBars.com, a blog where users submit screenshots of their menubar icons and explain what everything does. You’re sure to find something. CleanMyDrive, which removes the crap Macs leave on your hard drives CleanMyDrive Cleans Up After Your Mac So You Don't Have To CleanMyDrive Cleans Up After Your Mac So You Don't Have To Macs leave all sorts of files on your drives that could potentially annoy Windows and Linux users. Some of these files – like the contents of the Trash – can take up a lot of... Read More . Focus, which blocks time-wasting websites Can't Get Anything Done? Block Distractions With Focus For Mac Can't Get Anything Done? Block Distractions With Focus For Mac Force yourself to work instead of browsing. Focus is a Mac app that blocks distracting sites that shows you an inspirations quote when you try to visit a site you shouldn't. Read More . And I’m sure you know of some great menubar apps not listed here. Leave your favourite in the comments below, so everyone can find out about them. Phantastic list of mac utility apps. Here is one more app which I am using it from long time and its promising. Its also records how much data you are using in a session. Flux is great, and I'm a user for sure. I'm well aware that this site offers a lot of info about Windows, but I appreciate articles about Macs, since it IS the ONLY OS I use. Thanks ! We love writing about Mac apps, and aren't going to stop. What about Day-0 as an alternative to Fantastical and itsycal? I use that and it also allows you to change the time format using Unicode! That's another great app, and perfect if you don't want to see your appointments. Justin, meet Recent. Recent, Justin. Hey, Recent! I see you're a little different than the "Recent Items" menu, sorting files into types. That's cool, I guess. No, I'm not the guy who started the site. Why does everyone ask me that? I really like Eclipse for darkening my menu bar over the Obsidian hack.